Yoni is the sanskrit word for vuvla and represents the feminine aspect (shakti) as the source of all life . 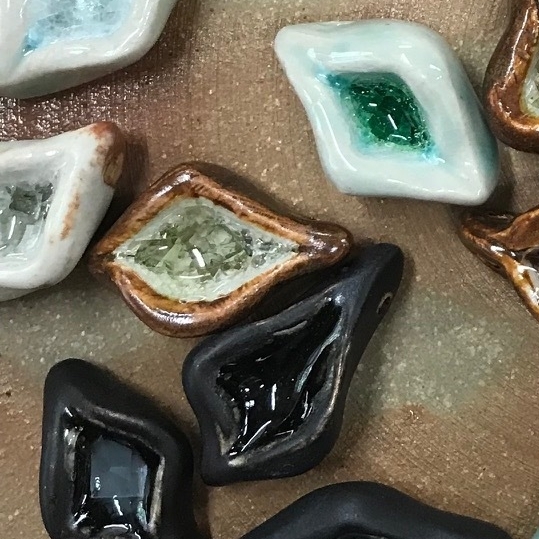 Learn more about how they are made and the meaning of each stone below. These necklaces are handmade, infused with mantra representing the power of the Divine Feminine. Ceramic Yonis are hand molded, glazed and seeded with glass to mirror each woman's inner beauty. They are strung with adjustable nylon cord (up to 24") and paired with a precious gemstone that activates the desired qualities you would like to nurture. Honor your own inner Goddess by wearing Her as a reminder, placing Her on your alter or meditating with Her in your sacred worship using the Mantra offered or one of your own. Wear her as a gentle signal to your partner of where you are in your cycle. Offer Her as a sacred gift to a loved one who is stepping into a new stage in the cycle of womanhood. These Yonis are for a Cause! Each purchase will help fund programing for women through the Amala School of Yoga. Thank you for your help! Yonis come in all different shapes and colors. Yours may vary slightly from the ones pictured. Online inventory is limited. 1. Hand molded either by Cassie or a sister yogini each yoni is one of a kind. When they are bone dry they head into the kiln for their bisque firing. 2. Glazed and delicately seeded with glass - some sea glass, some marbles, all unique! They are ready for their final firing. 3. 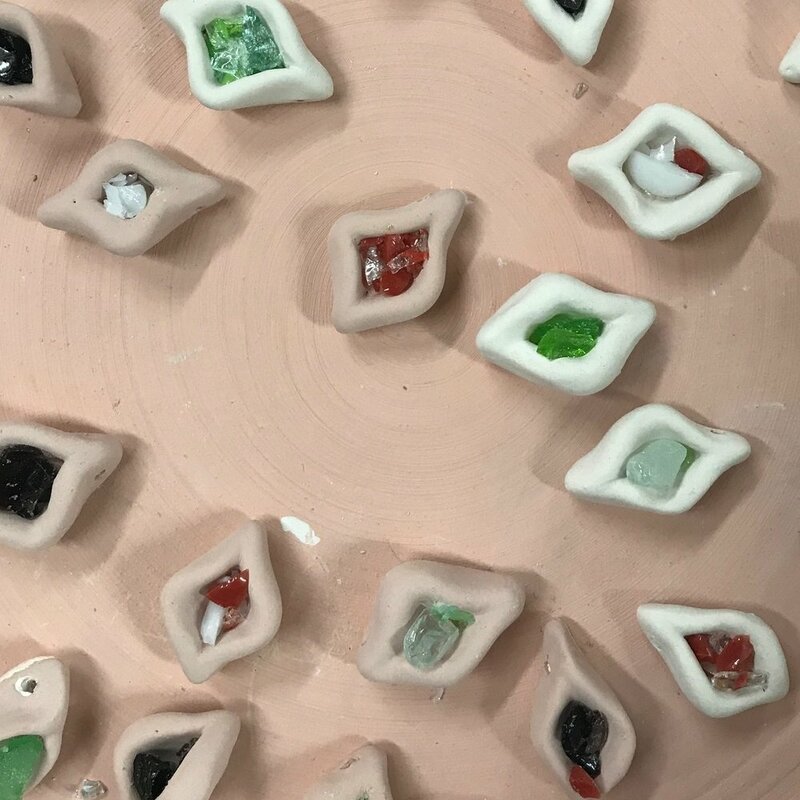 After final firing, they are ready to be paired and strung with a gemstone. 4. Final step is beading and stringing. Pendants and beads rest in the Maha (Great) Yoni until they are ready to be strung.